Today, in these early days of the 21st century, the most common observation is transformation itself: cultural, technological, social, political, ecological and economical. With every surface potentially: lens and mirror, every moment potential hinge and eclipse, every person potential actor and audience, the geographies we are navigating contain multiple forms of experience that at once: collapse and expand the spaces between us. We are in the midst of re-alignments and re-articulations of every aspect of our lives and there are people and institutions across all disciplines and across the globe that are increasingly confronted by the need for new models of asking the extraordinarily complex questions of our time. Though art, architecture, poetry, film, theater, music, science, technology, finance, politics, industry, biology and literature, we will begin with a close examination of the nature of transformation. Our initial discussions will focus on turning points: from the innovations of the elevator, train and telegraph, to the invention of modern corporations, banking and electricity; from the Copernican turn, to Darwin and the transformations of Yoruba polytheism; from the birth of the Greek theatre to the emergence of photography and film. The conversations will explore many forms of knowledge, agency, action and transformation. From these initial conversations we will begin to create actions and interactions: physical and performative works, words and gestures, improvisations and inventions. These will evolve and emerge as a field of inquiry and agency, a shared body of individual and collective works asking the questions: Hinges Mirrors & Eclipses. Our annual summer workshops have been the driving force of the Arts Letters & Numbers project. 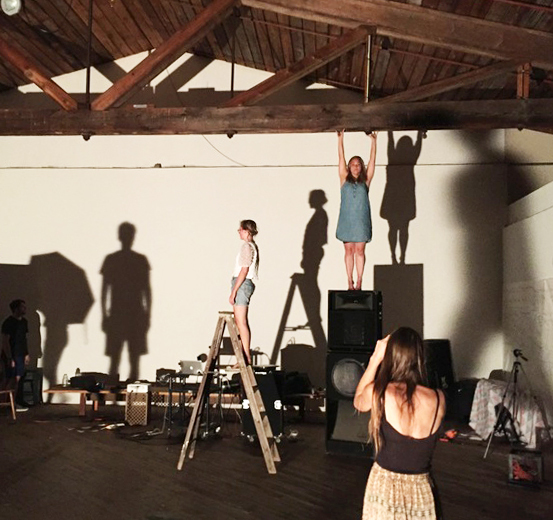 Each year we are building and evolving a unique space and growing our community: drawing on the experiences of past workshops and programs, and incorporating discoveries found through new works, every workshop also sets out to explore new territories and questions. 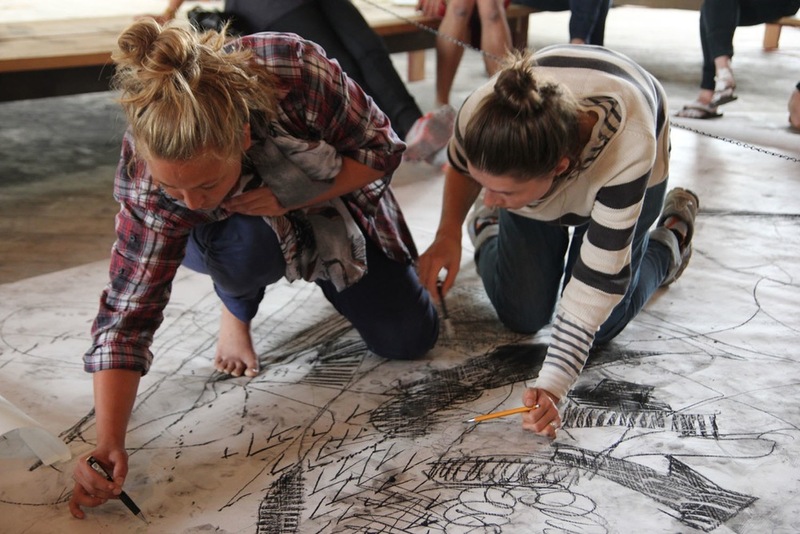 Our first summer workshop, Circles: Drawing on Friendship in 2012, we inhabited the Mill and a spectacular performance emerged. The collective creative urgency was a crucible of emotive precision from which we poured the foundation for our future workshops. 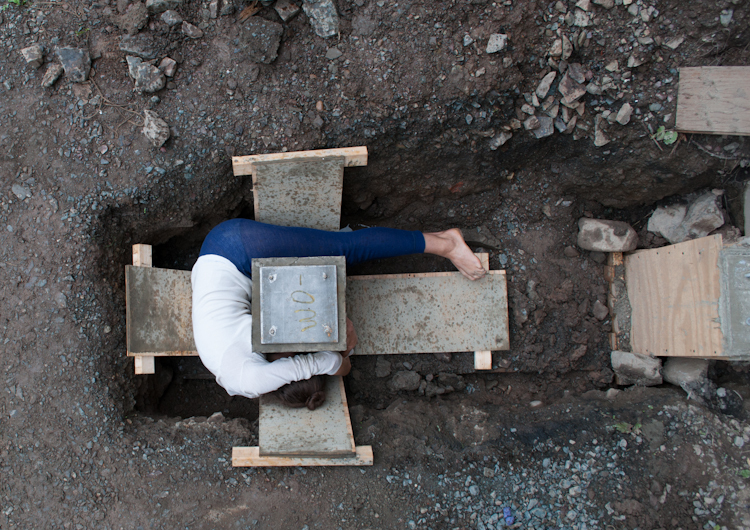 With Circling Towards a Disciplinary Chora in 2014, the ‘House on the Hill’ adjacent the Mill was acquired, and the project emerged through exploring the relationship between the two bodies, constructing one inside of the other. 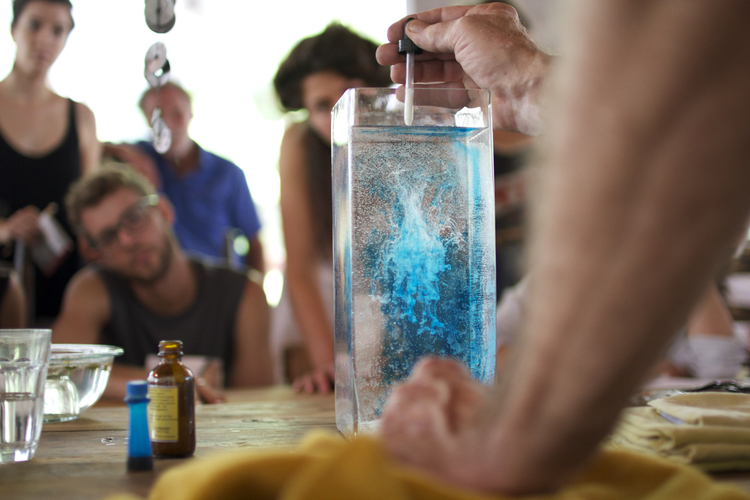 Inspired by the Galapagos Archipelago and the knowledge transformations that emerged from Darwin’s five-week experience within their dense bio-diversity, in 2015 Galapagos Now: was situated between the collective embodied process of construction and the dynamic interactions of a wide range of disciplines understood as a living system. 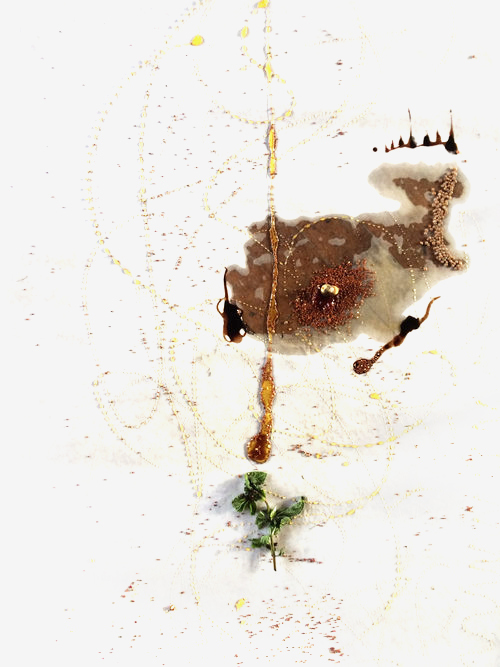 In 2016's, Zoëtrope Sun, we engaged in co-constructing a disciplinary zoëtrope: a living system of knowledge-transformation turning within light and time, water and clouds, life and still life, cameras and projectors, nights and days, words and voices– an emergent microcosm evoking the origins of life itself, animation, anima, zoë, life. With our last workshop, Constitution, we proposed a dynamic crucible of free thought, a space where the widest spectrum of who we are could ask the questions of our time and create works that would bring us forward. A space where many elements could come together to create the alchemy of transforming how we experience today into how we will experience tomorrow. This summer’s workshop will be unique in its form of questioning as well as its context. Arts Letters & Numbers is currently in a state of spatial changes, and the workshop will be a response to the bridges created in the months leading up to it. As in everything we do, each question we ask is approached with risk, precision and honesty. Arts Letters & Numbers is constructed by us: not just those who are directly involved in its day to day operation, not just the fellows, participants, visiting artists and local community members, it has and continues to be built by everyone who sets foot in this remarkable place. It is being constructed by and between us. 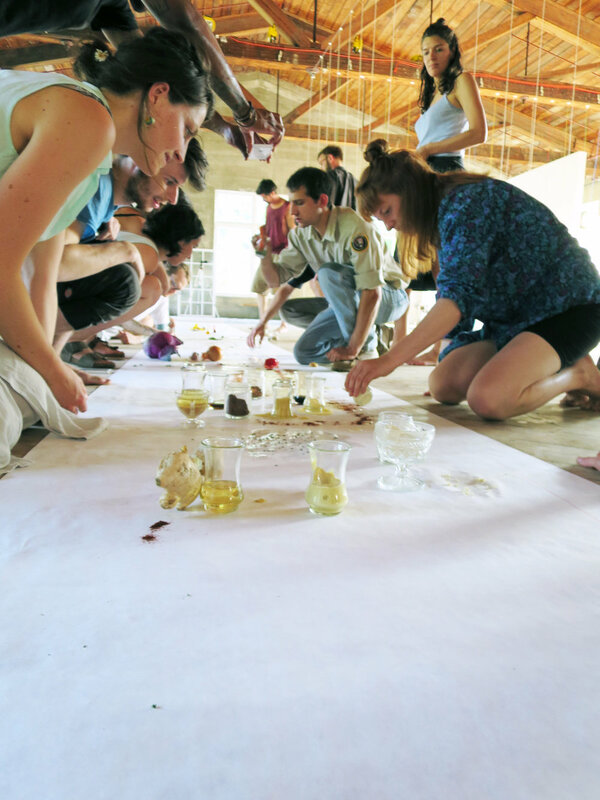 The four-week intensive workshop will be led by Director David Gersten, the Arts Letters & Numbers Fellows and a wide range of Visiting Artists including: Architects, Filmmakers, Musicians, Composers, Physicists, Poets, Photographers, Lawyers, Actors, Mimes, Chefs, Scientists and Scholars. Each participant will be asked to fully engage in the questions through their works and in an emerging larger body of work. We will build a conversation among all of us together to explore and embody the questions of Hinges, Mirrors & Eclipses. This ‘in-between’ offers the opportunity for individual disciplines to speak to each other and to create new disciplinary linkages within the questions. At Arts Letters & Numbers we are all teachers and we are all students. 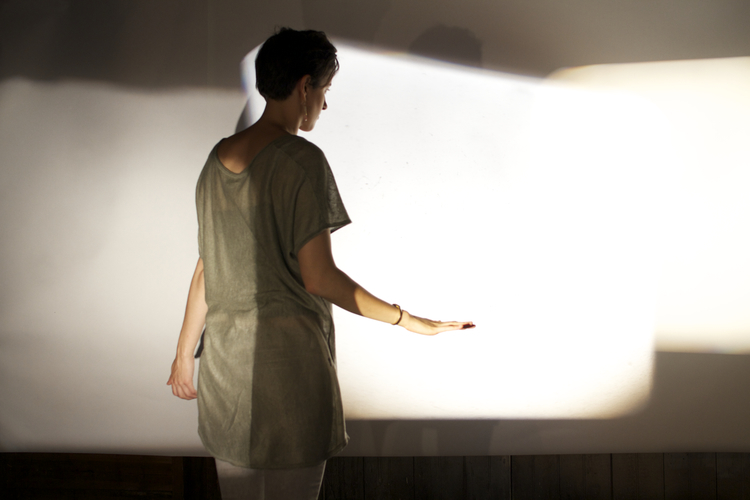 The workshop will conclude with a two-day Festival sharing a full spectrum of works that emerge during the project. This is an exceptional opportunity to share the explorations with the larger community. 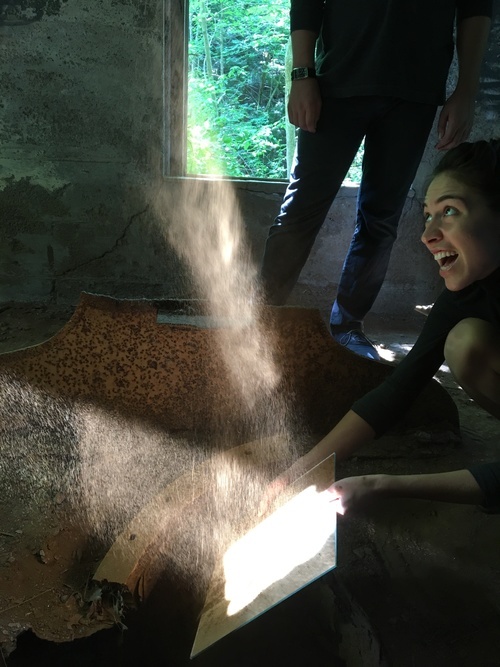 As a parallel integrated program, Michael Harrison and Sophia Vastek will direct the two week long Creative Music Intensive, which will be held July 22 – August 5. Participants who are applying for the program are also encouraged to attend the prior two weeks of the Summer Workshop, July 7- July 22. 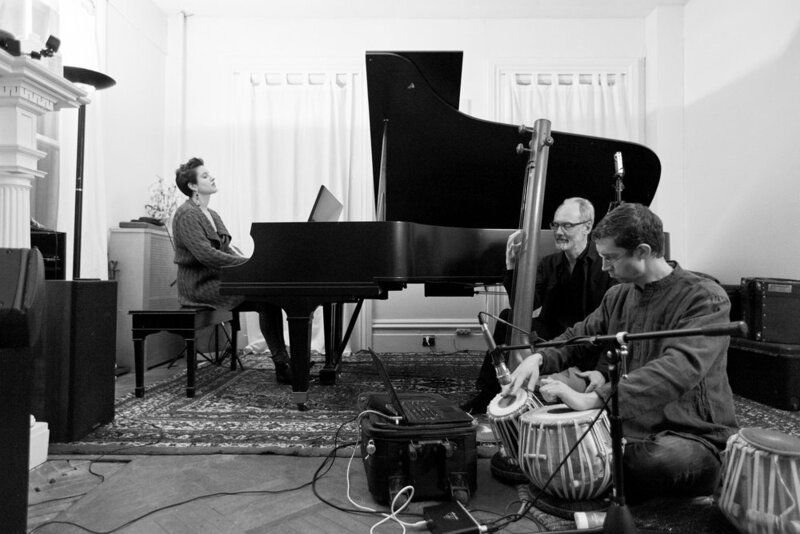 In this intensive, the participants will be immersed in the creative process of making music, collaborating and performing with a diverse group of artists from many disciplines. This will be a search to find new ways to unleash everyone's creative potential, and to discover and develop individual and collaborative voices as creative artists. This intensive is open to both amateur and professional musicians in any genre (the ability to read music is not required). Click here for more info about the Creative Music Intensive. 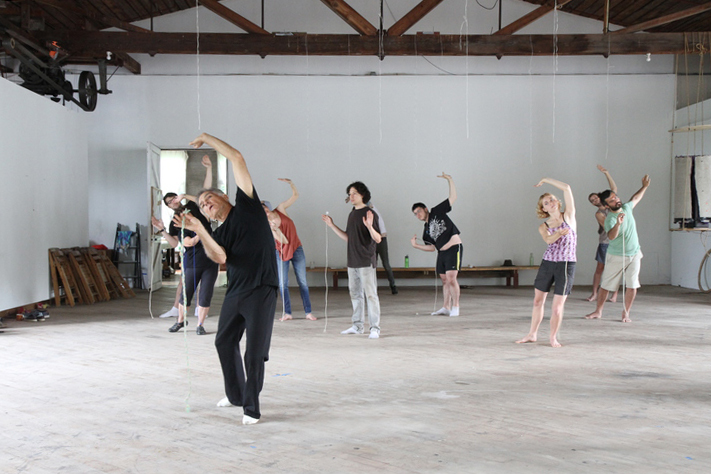 This summer’s workshop is arranged as a four-week intensive program. The structure and nature of the questions are intended to encourage participants to engage in individual and collaborate works, to explore how one’s own work contributes to and supports the workshop as a whole. The Mill, the House on the Hill, the Barn and its context are stages for questions, asked across all of the disciplines, and serve as the primary sites for collective sharing and learning: our dinners, lectures, workshops and critiques. 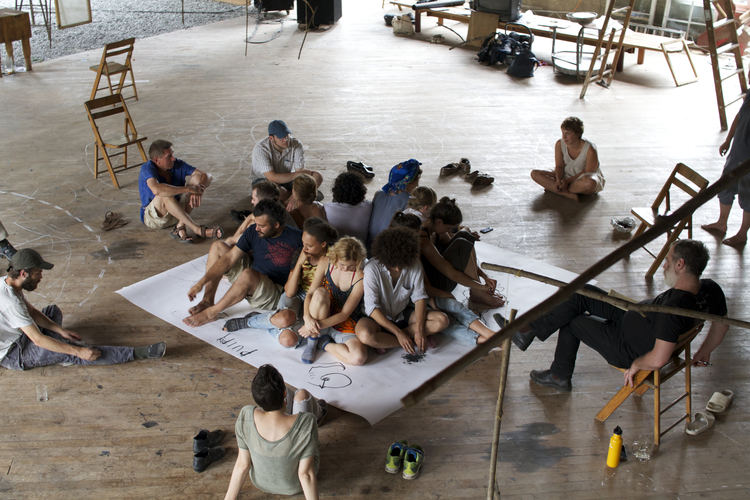 A communal live-work environment is an integral part of the workshop experience: the practice of living reflects an approach to the work and the potential for interactions across disciplines. Shared accommodations will be provided in the House on the Hill, in one of our nine bedrooms. They all have simple comfortable futon beds on low raised platforms, arranged in double, triple, and quad sleeping arrangements. Accommodation: includes shared room and board with daily dinner and self-service breakfast & lunch. Participation: includes communal studio space, hands-on construction experience, individual and group instruction, critiques and exhibition, and visits from guest speakers and artists. Material: tools and equipment connected to the group works for the Summer Workshop is covered. Participants are responsible for personal materials used in their creative work. Equipment: please make sure to bring the equipment you find necessary for your participation. We will have a limited selection of instruments available for shared use. Please contact us for more detailed information. We will strongly recommend attending the full four-week workshop. However, depending on available spaces, we will accept shorter attendances with a minimum stay of two weeks. We recognize that the costs are significant and do all we can to keep them as low as possible. It is our goal to make the workshop available and affordable to all qualified applicants who would like to attend. To this end, we do offer a limited number of Work-Scholarships, which trade one week of Pre-Workshop work for a 50% discount off one week of the workshop. The Work-Scholarship is only available for participants who are attending the full 4 weeks of the workshop. 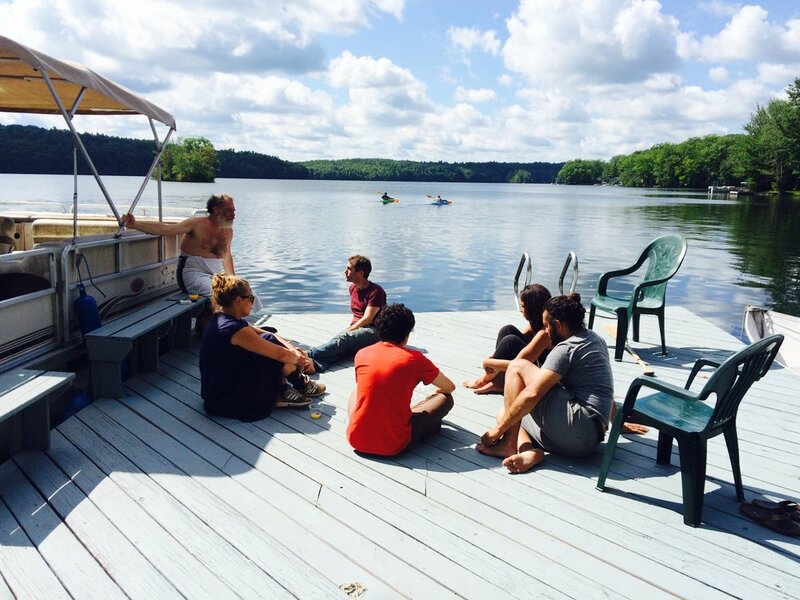 The Work-Scholarship involves coming to Averill Park, NY before the workshop begins and working with the preparation team to get things ready. This can involve a wide variety of tasks from basic construction and painting to material sourcing, gathering and set up. Most people who have participated in the pre-workshop organization have found their experience of participating in the community to be quite rewarding. These pre-workshop scholarships can be from one to four weeks in advance of the workshop. If you are interested in a Work-Scholarship please fill out this form immediate after you submit your workshop application.